Today's post is part of the Small Success Thursday series at CatholicMom.com. Surprise -- the first month of the year is almost over! If you don't want your New Year's Resolutions to fade away by the end of January, you've got to recommit to them. Accountability is a big help, and blogging and social media provide almost embarrassingly public accountability! Acknowledging failures and lack of progress can turn into a small success when you realize what you have to do to prevail in the future. So here's my progress report on the Santos Family's 2016 New Year's Resolutions, including what I've learned from my mistakes. Weekly exercise: I've kept this resolution, because it wasn't too difficult, although I haven't lost an ounce of weight! Strategy for Success: Choose an achievable goal. Daily mental prayer: I haven't managed this, because I haven't chosen a time of day and stuck to it. Strategy for success: Better time management. More homework help for the kids: I get fried pretty easily by the kids' bickering and constant requests for help, so I tend to shut down. I need the emotional equilibrium that comes from daily prayer. Strategy for success: Seek divine assistance! Weekly taekwondo classes: My husband hasn't made it to weekly classes, because he's too busy helping out with the kids. If I was better at homework help, he could make it to exercise class on time. Strategy for success: Better time management. Spanish-speaking dinner hour: This has been an epic fail. The kids talk and sing at the top of their lungs, while eating as fast as they can and running away from the table after fifteen minutes. Strategy for success: Better discipline and manners! Daily couple prayer: We've been really good at this, since I asked my husband to share the effort of suggesting prayer when I forget. Strategy for success: Seek spousal assistance. Prepare for kickline and color guard auditions: Lelia's friend told her that color guard takes up a lot of time, with several practices per week. So she's rethinking her desire to join, which is fine with me. With better information comes better decisions. Strategy for Success: Investigate options. Say grace before lunch: Lelia says she's doing well with this. Read more: Lelia isn't reading more because I haven't taken her to the library. :( Strategy for success: Seek parental assistance. 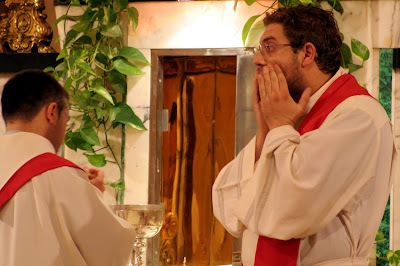 Prepare for Sacrament of Confirmation: We haven't thought or done much about this. Strategy for success: Review and renew. Start travel soccer: Miguel's taekwondo teacher says he'll probably test for his black belt in March or May, so Miguel will be ready for travel soccer auditions in June. Strategy for success: Follow the plan. Read more: We haven't done well with this, mostly because he's been playing the PS4 he got for Christmas. Strategy for success: Less electronics time. Learn to play Fur Elise: Maria wanted to learn the Moonlight Sonata until I convinced her to tackle Fur Elise instead. But her piano teacher is willing to introduce her to the Moonlight Sonata! Strategy for success: Seek expert assistance. Take online course: I missed the January deadline for the current set of online courses, so we'll have to try for the next set. Strategy for success: Try, try again. 10 minutes daily prayer: This would be easier for her if we had a consistent bedtime. Strategy for success: More disciplined household. Pass the state tests: We've asked the school district to give Marga extra help and her teacher is convinced she'll get it. Strategy for success: Seek expert assistance. Add mental prayer to bedtime prayer: Marga still prefers to pray out loud. Strategy for success: Talk to her more about what mental prayer is and how to do it. 15 to 20 medals: C.C. 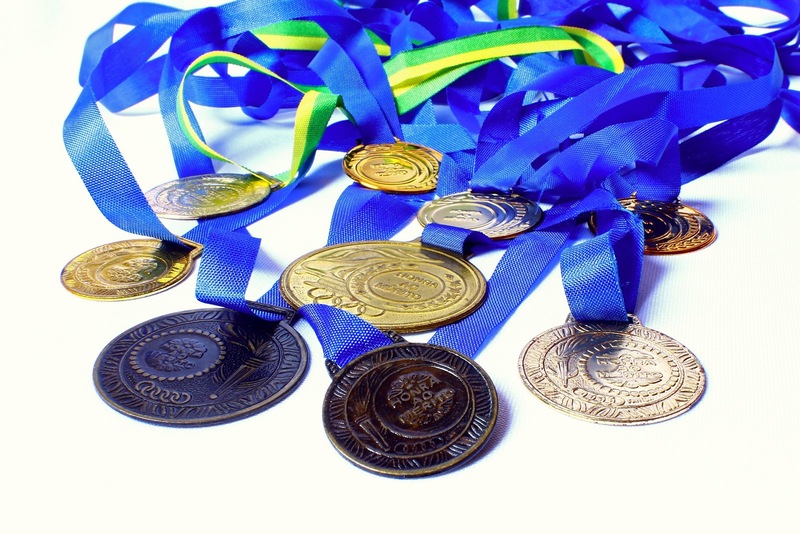 has already won 5 medals at her first competition. This will be a piece of cake! Prepare for confession and communion: C.C. has memorized her Act of Contrition, thanks to the parochial school teachers. Strategy for success: Seek outside assistance. Discover academic interests: Nothing on this so far. Strategy for success: Review and renew. Better speech: I need to get Emma's speech evaluated to see if she qualifies for speech therapy. Strategy for success: Seek expert assistance. More fluent reading: This is tied in to my resolution to help the kids more with homework. We haven't gotten far yet. Strategy for success: More parental assistance. Have you stuck with your New Year's resolutions? What about your family? Review those resolutions, and renew them! Ever since Pope Francis announced that a Jubilee Year of Mercy would begin in December 2015, voices in the Church have been following the Pope's call to spread the message of mercy to all people. There are excellent video resources available to inspire and educate us, and many of them are free. Here's a sampling. This series of four short videos (less than ten minutes each) is available here. Each video features a different popular Catholic speaker. My favorite is this one with Fr. Mike Schmitz, explaining what a jubilee year is and why it's so important. My husband Manuel P. Santos M.D. and I will talk about Mercy in Marriage. Here's a sneak peek at our presentation, where we talk about grudges. The mercy of God flows through the work of the Holy Spirit, and so we're fortunate to have a new series of fourteen videos on the Holy Spirit, whom the Celts analogized to a wild goose because of the Spirit's vast potential to surprise us. The videos last between twenty and thirty minutes and are available online for free. Only seven out of the fourteen have been completed so far. The first video was filmed against the stunning backdrop of Niagara Falls where we can "literally hear the love of God being poured forth into our hearts through the power of the Holy Spirit." Music inspires me more than anything else, so these recommendations would be incomplete without a music video. I leave you with this astonishingly beautiful performance of Gregorio Allegri's Miserere Mei Deus (transl. : "Have mercy on me, O God") by King's College Choir of Cambridge, England. You can hear the angels start to sing shortly after the one and a half minute mark. Enjoy! Long weekends are the perfect time to follow Pope Francis' now famous (and often-repeated) advice to "waste time with your children." Introverts like me definitely need to be reminded that fun time doesn't have to be alone time. Working for the family is important, but so is relaxing with the family. Having a family can feel like you need to give of yourself twenty-four hours a day, seven days a week. This is true whether you spend most of your waking hours at your career or at home with the kids. And yet, this feeling is not limited to family life. It is part of the life of service to which every Christian is called. Imagine the daily life of a priest in a typical suburban parish. Every minute of their days seems filled with celebrating Sacraments, saying Masses, and endless phone calls and meetings. Priests typically have more “spiritual children” than any layperson could ever have. Religious brothers and sisters are not exempt, either. The Benedictine philosophy of work, for example, is 8 hours of work, 8 hours of prayer, and 8 hours of rest. (Think prayer is not demanding work? You try praying for 8 hours.) In short, the life of a Christian always requires giving until it hurts. This does not mean that leisure time or relaxation is bad (unless it's totally self-centered!). Leisure time spent in strengthening our relationship with family and friends can renew our spirits and bring joy to our life. Leisure time spent developing our talents can bring us closer to the person God wants us to be. It can also help us to enjoy God’s creation. For example, Pope John Paul II frequently spent time in the great outdoors, hiking and skiing in the natural beauty that God created. Leisure time is actually a wonderful gift from God. On the seventh day of creation of the world, God rested and showed us that rest was good (Gen 2:2-3). Rest is necessary to restore our physical and mental health. You could almost call it a duty. Jesus himself once commanded the apostles, “Come away … and rest a while” (Mk 6:31). Rest is not the same as “me-time,” which today’s culture relentlessly attempts to convince us we need. Can you imagine telling Mother Teresa that she just needed a little “me-time” at the mall, with a coffee-shop latte or a fast-food burger? True leisure is also not slumping on the couch watching hour after hour of questionable television shows that leave us feeling drained rather than rested. Healthy, holy rest rejuvenates us so that we can resume work more energetically and cheerfully, ready to share with others what God has given us. A version of this article appeared first on Catholic365.com. 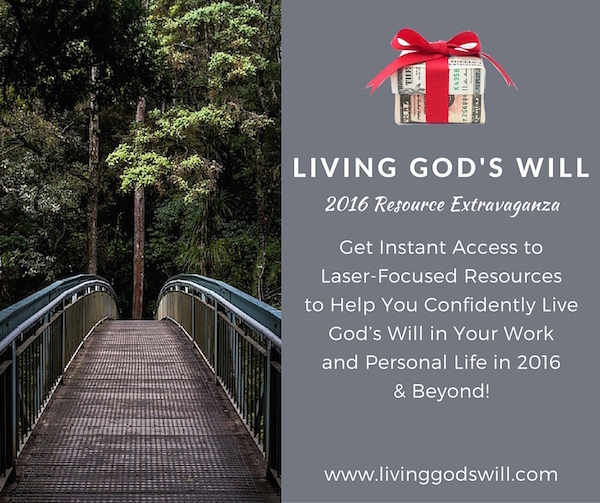 Living God's Will Mega Giveaway: Jan. 12-18 Only!! My husband and I have teamed up with Catholic personalities like parenting expert Dr. Ray Guarendi and chastity speaker Jason Evert in a mega giveaway for this week only. I will definitely be claiming my free copy of resources like Dr. Ray's book When Faith Causes Family Friction. Religious differences are a problem in so many marriages, and people are aching to find good advice on the topic! But the giveaway doesn't just offer marriage and family resources. The giveaway's organizer, Christina Weber of Catholic Women's Guide, has collected invaluable resources in the areas of spirituality, life vision, health, wealth and abundance, business and relationships. Each expert was hand selected by Christina. According to her, "the common denominator of all those invited is that there is something special in how they are attempting to live their lives in alignment with God’s will. Their lives reflect a sincere attempt to build Christ’s kingdom in both ordinary and extraordinary ways and I hope that their witness will be an inspiration and encouragement to you." Trying to make all the puzzle pieces fit together in your life can be quite overwhelming. We can totally relate to the longing to please God, but not always being 100% confident we are on track in every area. Frustrated with seeming to excel in doing God’s will in one area, but recognizing you’re falling down in another...Worried you might not be covering all of the bases in the unique life mission God has for you...Tired of spending more time in discouragement, confusion, and being TOO busy (Satan’s acronym for B-ound, U-under, S-atan’s, Y-oke), than in living in the present moment with those you love and all God has created, basking in gratitude over the God’s great abundance in your life. We are all in the same boat -- but with help and support of mentors willing to share their genius there’s no need to recreate the wheel on how to flourish. The more good people out there who are empowered to share their unique gifts and talents with the world, in service to others to build Christ’s kingdom...the better off the entire world will be! So accept these great resources. They're helpful and free! The giveaway starts Tuesday, January 12, at 11 a.m., and it will last until Monday, January 18. 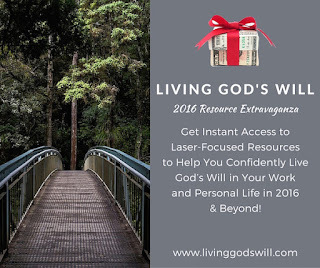 To claim your gifts, just visit www.livinggodswill.com. Get the help and support you need to effectively live a Christ-centered life! 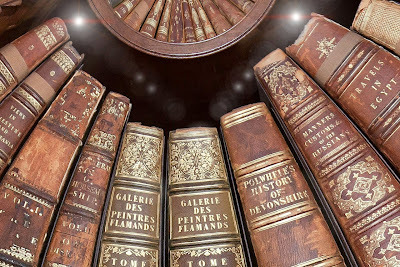 Here’s my list of best Catholic books I read and reviewed in 2015 — best books for engaged couples, married couples, divorced people, women, kids, and — well — everyone. Enjoy! Invited: The Ultimate Catholic Wedding Planner: I can't say enough about this great book. A real two-for-one deal, it includes help with the practical aspects of getting married in the Catholic Church plus a crash course in theology. All delivered from a fresh, young perspective that is utterly captivating. The Journey of Our Love: St. Gianna Molla is hands-down the most relatable saint of the modern era. A working mother, she adored her husband Pietro even as she worried about his safety on long business trips away from home. This collection of the couple's letters and postcards is organized chronologically so you can follow their correspondence as if they were having a conversation right in front of you. Adoption: Room for One More? What would might lead parents of seven biological children to adopt another child? Find out in this how-to book that guides prospective parents through discernment of the call to adopt. Eve's Apple: This tell-all goes through so many surprising twists and turns that you'd almost think it was fiction. From meetings with European royalty to dusty ambushes in Somalia, the book chronicles the romantic and professional successes and defeats of a female soldier who found her way back to the Church and true love via her third marriage. Walk Softly and Carry a Great Bag: On-the-Go Devotions: Written for a woman at any stage in her life, this small devotional is sized to fit into a purse and provide inspiration on-the-go. We may not think we have time for God, but with the help of this book it's surprisingly easy to turn to him for help throughout the day. Trusting God with St. Thérèse: This spiritual memoir provides excellent advice within the Carmelite tradition. Discussion questions at the end of each chapter encourage us to dig deep and to progress in our interior life. What was the best Catholic book you read in 2015? Would love to hear from you in the comments. And here are the best Can We Cana? posts for 2015, according to you, dear readers! 1. Exciting New Resource for Brides-to-Be from Pauline Books! 4. HUGE NEWS: Chris West Will Write the Foreword to Our Marriage Advice Book! 10. Our Visit to the Only Carthusian Monastery in the U.S.